The Junior School academic program is a rich and vibrant one, providing opportunities to allow students to reach their full potential. 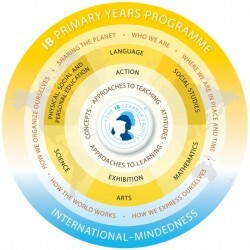 TAS Junior School is an International Baccalaureate World School offering the Primary Years Programme (PYP). This is an exciting and challenging process as we look to analyse and enhance the teaching and learning in our classrooms. Further information about the PYP may be found HERE. TAS Junior School students are fortunate to benefit from the experience of specialist secondary teachers in several key subject areas, including Music, PDHPE, French, Japanese, Divinity and Visual Arts. Stage-appropriate programs are tailored to suit infants and primary students, while giving them insights from highly qualified teachers. Allowing more able students to explore the curriculum in greater depth, the Junior School Extension and Enrichment program encourages boys and girls to explore strategies, ideas, issues and themes while still covering core content. Extension and Enrichment classes, run by a fulltime specialist teacher, are challenging and require maximum effort and application, but use a different style of instruction to help students become more autonomous learners. In some subjects, students are withdrawn from their ‘home’ class for extension, while in other subjects, girls and boys work on projects in their own time to progress their own learning. Successful students are self-driven, independent workers and thinkers who can work equally well in a group situation. They are encouraged to use higher level thinking strategies in an activity based, challenging environment. Creativity is strongly encouraged and students in Extension and Enrichment challenge themselves by using their imagination to the fullest, and with insight into the topic. The Learning Support Department in the Junior School assesses students in the early stages of their education. Then, should it be required, immediate intervention is instigated. This contributes towards creating an environment for success in literacy and numeracy.